That’s what Karl Purchase says as he watches his model train travel around a miniature replica of his hometown of Corner Brook, N.L. For a model town, Karl’s version of Corner Brook is gigantic and glorious. It fills two rooms of his Winnipeg home, spanning two different levels. There’s grass, trees and lamp posts that light up at the flick of a switch. 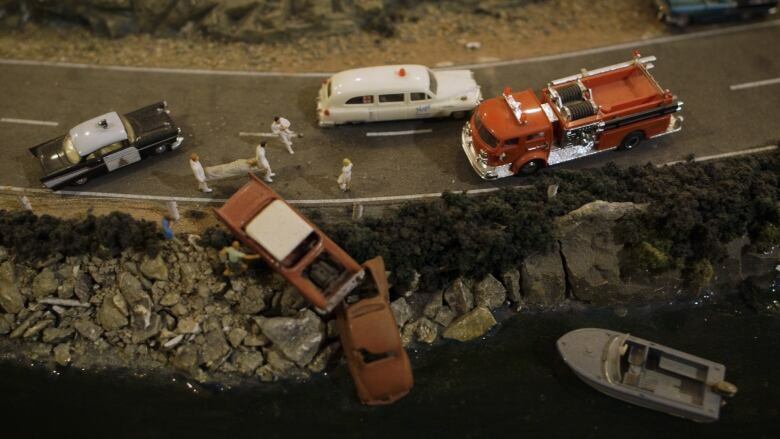 The townsfolk are frozen in everyday activities, like playing pool and getting a hair cut — there’s even a very detailed rescue scene involving a retro ambulance, fire truck and police car. It took almost 20 years to build, but piece by piece the Winnipeg transplant was able to recreate his little corner of Newfoundland all from memory. Karl gazes upon his miniature world. “I did all that” he muses. All aboard! Next stop, memory lane. 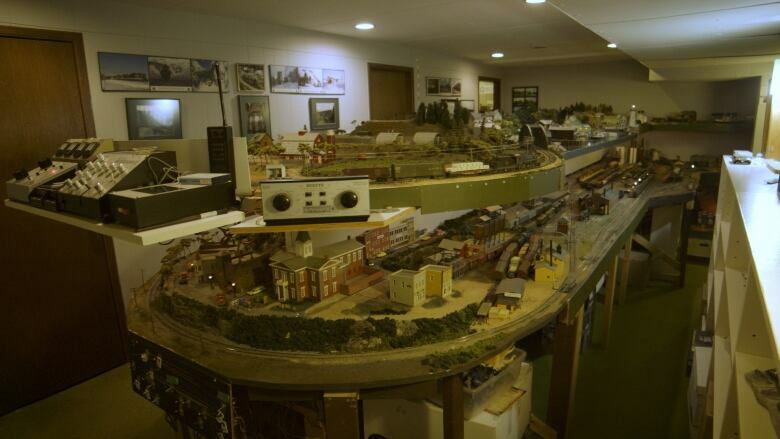 Karl is 71-years-old, and his passion for model trains is still going strong. But this is the first time in over a year that Karl has been able to see his creation. His memory is fading and after breaking two hips, he’s moved to a care home. Since then, Karl’s train set has been quiet. 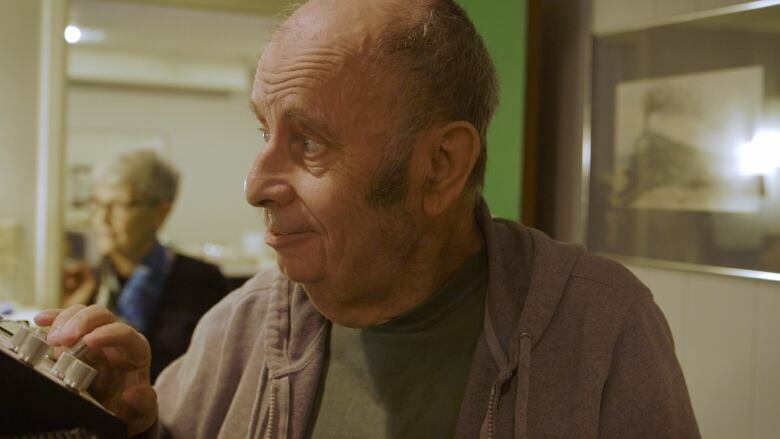 For Karl, seeing “Corner Brook” is as much about reminiscing as it is about remembering. His replica is a physical snapshot ― Corner Brook, circa 1958, just as he remembered it. Now, friends and family hope that the place built from his memories may help reignite them. The whirl of the trains. The din of the bells. 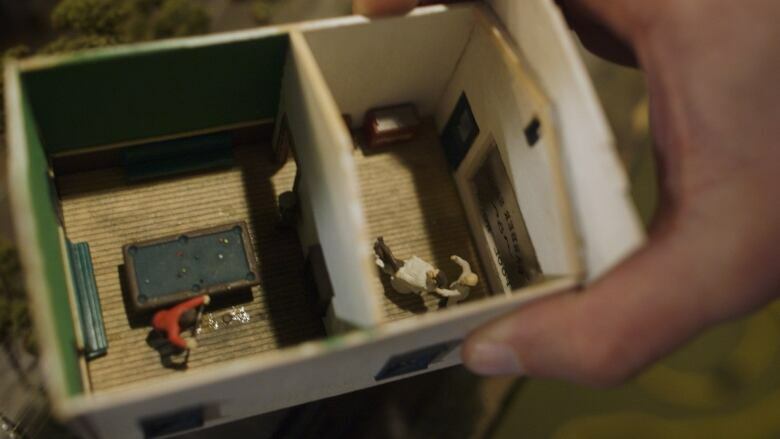 Looking at the model still makes Karl homesick. He still longs for the Corner Brook he remembers. “I miss the camaraderie that comes along with it. People from my hometown coming to look at it,” Karl laments. But what Karl was able to build is something truly special. Seeing “Corner Brook” fully operational is a testament to his dedication and love for his riverside town. That fact will remain, long after the memories are gone. Video by Jim Agapito, Ryan Nash, Matt Purchase and Paul Stabell.